Rehab should be a safe haven for individuals affected by substance abuse, where they can voice their frustrations and talk freely about their experiences with drugs and alcohol. 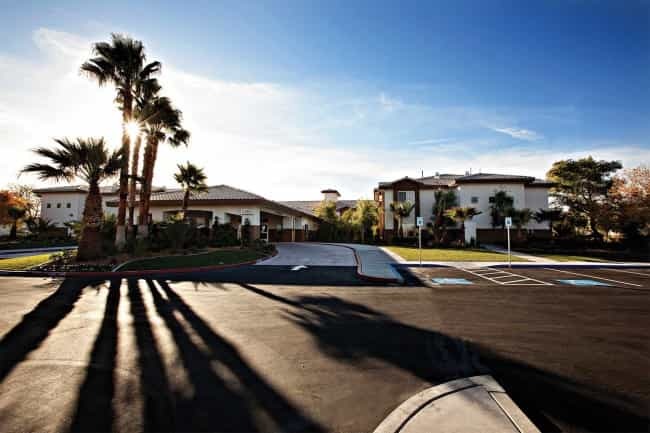 Picking the right drug rehab center can feel like a tough decision. No one wants to make the wrong choice or invest time and money into a place that isn’t going to provide excellent treatment. What works best for one person may not be at all right for the next person. There are 11,928 substance abuse treatment facilities in operation in the US to choose from, per the Substance Abuse and Mental Health Services Administration. With that many, it’s reasonable to assume there’s something out there for everyone. Why do you feel you need treatment? What is the your educational background? Your career? Your family situation? Do you have any history of depression or other mental health issues? What substances have you been abusing, in what amounts, and for how long? Is this your first attempt at rehab? In addition to the answers given, treatment professionals pay attention to overall demeanor and behavior. These cues give the staff insight into where the person is emotionally and mentally. Mental illness is one of the biggest precursors to addiction treatment. According to the HelpGuide, around 53 percent of people who abuse drugs, and 37 percent who abuse alcohol, have at least one mental health disorder. It is vital that the staff at any treatment facility is aware of any mental health issue that may be impacting the person’s care. The best treatment centers will screen for mental illness, since many people have a mental health disorder and don’t know it. If mental illness is a co-occurring disorder, individuals must look for rehab centers that are equipped to handle cases of dual diagnosis. The overall goal of the intake interview process is to get a firm grasp on the person’s needs. This allows treatment professionals to map out a rehabilitation plan right away. While a minimum of 90 days in treatment produces the best outcomes, 50 percent or more of clients in detox drop out before they ever reach the three-month mark, per the Journal of Substance Use and Misuse. With high dropout and relapse rates, it’s important that treatment is structured in a manner to engage the client at every step of the way. This means that a one-size-fits-all rehab approach won’t work; care must be customized to the needs of the individual. In addition, the treatment plan may change as the person progresses through rehab. What is right at the beginning of treatment may not be appropriate a couple weeks into care, as the person grows stronger in newfound recovery. As a result, treatment must adapt to changing needs of the individual, so regular assessments are done to ensure the approach remains appropriate. Medical detox is a vital step in any treatment plan for those who need to withdraw from drugs or alcohol. It should start immediately upon completion of the intake process. Medical detox means that clients withdraw from their substances of abuse under medical supervision. The detox process is different depending on the substance of abuse and individual factors. It’s important to choose a rehab center that has experience in detoxing clients from the substance in question. In some instances, such as cases of opiate addiction, replacement medications may be used. Choose a facility that has experience in that area, to ensure that the facility can adequately and safely handle detox from the substance in question. Just as there are certain elements among treatment programs that clients should be looking for, there are things to avoid. Addiction is a treatable condition that can be managed with long-term care; however, there is no cure for the disease. Any rehab center that promises a “cure” should not be trusted. Detox alone does not constitute effective addiction treatment, so be wary of any facility that only offers detox. Comprehensive therapy should always be the backbone of any treatment approach. Likewise, beware of programs that advertise “rapid detox” or “ultra-rapid detox.” The rapid detox process promises an easy withdrawal experience. Clients are sedated under general anesthesia, and when they are awoken hours later, they’re allegedly fully detoxed. There is no scientific research that supports these claims. People who undergo this treatment relapse regularly and can suffer serious side effects, including death. The Centers for Disease Control and Prevention reported on such adverse events, noting violent behavior, suicidal thoughts, sepsis, cardiac arrest, and even death in those who undergo the procedure. Individuals should opt for drug rehab centers that meet their specific needs. If people need treatment for an addiction to heroin or prescription opioid painkillers, they should seek out facilities that offer such treatment plans. If people need medication management during detox, they should only look for facilities that have that capability. If individuals are struggling with co-occurring mental illness and substance abuse, they need not waste their time researching treatment centers that can’t manage both. Should a person require inpatient rehabilitation for severe polydrug abuse, facilities that offer only outpatient care ought to be crossed off the list from the start. Aftercare options are important to consider, too. Treatment isn’t finished once a person completes a structured treatment program. Aftercare, in the form of sober living homes, ongoing therapy, support group participation, and ongoing alternative therapies, provides the person with the support needed to sustain recovery. Look for drug rehab centers that provide alumni with ongoing support and help when needed. This demonstrates that these centers are invested in the future health and success of their clients, not simply in getting more people in the door.